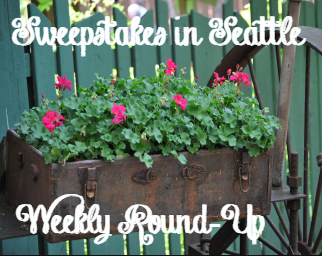 Sweepstakes in Seattle Weekly Round-Up 6/19 – Win $30,000, a trip to Honolulu, gift cards & more! Happy Father’s Day! I hope you are celebrating the dads in your life! My dad is a pretty cool guy. He loves to bike, he’s got a wacky sense of humor and he writes great stories. I am blessed to have him in my life. Speaking of blessings, we had some winners this week! If you won, leave me a little message letting me know – I love to hear about my readers winning! Remember, Sundays I will only post the weekly round-up so you can get caught up and see if you missed any of the sweepstakes posted during the past week. Have a great Sunday and check back tomorrow for new sweepstakes! I’ll also share winner’s stories here, so if you win a prize, let me know and you can be a part of the weekly round up! Ian won a movie ticket and $3 movie concession money from the M&M IWG! Serina won an apron from the Best Foods IWG! Congratulations winners! Enjoy your prizes!